STEPHENVILLE – With 15 points and 11 rebounds, Mackenzie Hailey joined an elite group of Tarleton superstars as she became the fifth player in program history with 25 career double-doubles – propelling the TexAnns past MSU Texas 65-50 Thursday night. 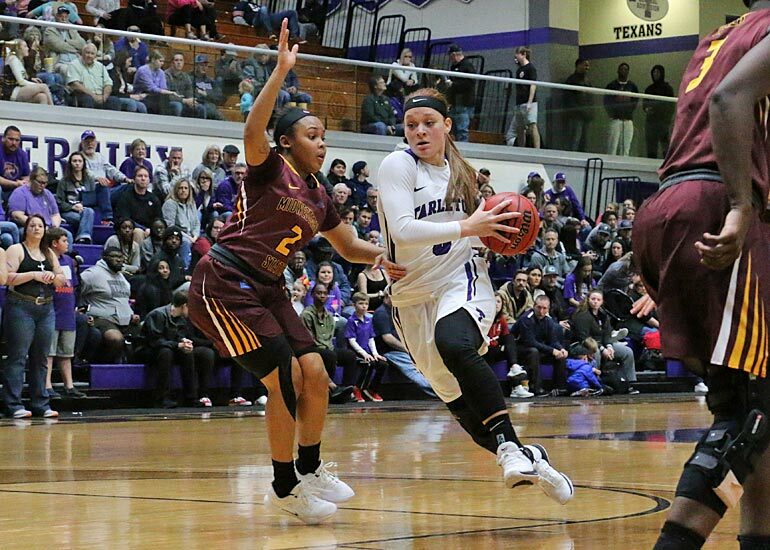 Hailey joins Tarleton Hall of Famers Jennifer Washington (77), Wanda Byrd (26), Kathy Buckler (25), and All-American Kiara Wright (59) as the only players in program history to record 25 double-doubles in their careers. Only Hailey and Wright have done so in Tarleton’s NCAA era. The opening quarter saw a tight contest with two lead changes and three ties, including one as late as 14-14 with 35 seconds left. Kandyn Faurie broke the tie and ended the quarter with a layup to send the TexAnns into the second quarter with a 16-14 edge. 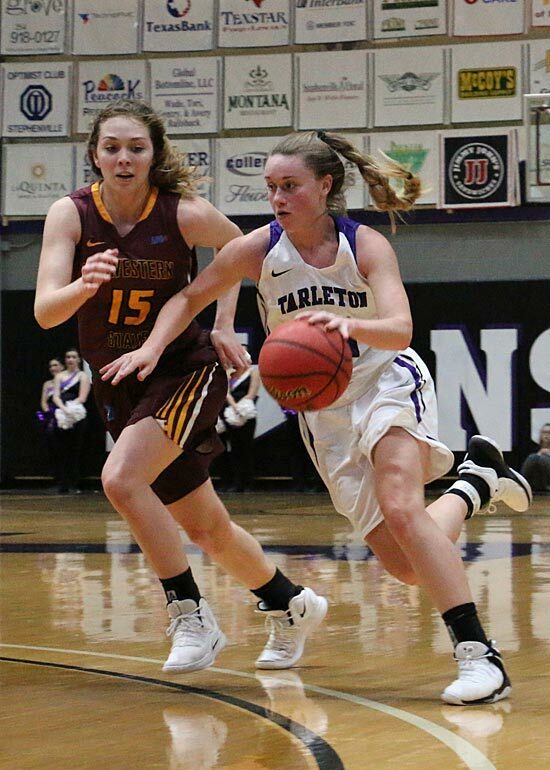 Hailey got the scoring started with an old-fashioned three-point play in the second quarter to spark a 9-2 Tarleton surge over the opening 4:30 of the new quarter that extended the lead out to 25-16. MSU Texas pulled within five but a four-point play from Kylie Collins and a layup from Lucy Benson sent Tarleton into halftime with a 33-22 lead. Tarleton pushed its lead out to 13 over the first four minutes of the second half and never trailed by less than double figures again. They extended the lead to as many as 19 with 2:46 left in the game. Hailey filled up the stat sheet with her 15 points, 11 rebounds, four steals, four blocks, and two assists, but Kaylee Allen led the team with a 16-point scoring effort. McKinley Bostad also topped 10 points for the 12th consecutive game (13). Katie Webster (9), Collins (4), Faurie (4), Benson (2), and Nina Alvarez (2) rounded out the scoring for Tarleton, who shot .471 from the floor and .500 from downtown for the game. Tarleton will return to action Saturday afternoon at 2 p.m. against Cameron in Wisdom Gym. It will be “First Responders Day” at the game. All local first responders and their immediate families will receive free admission.